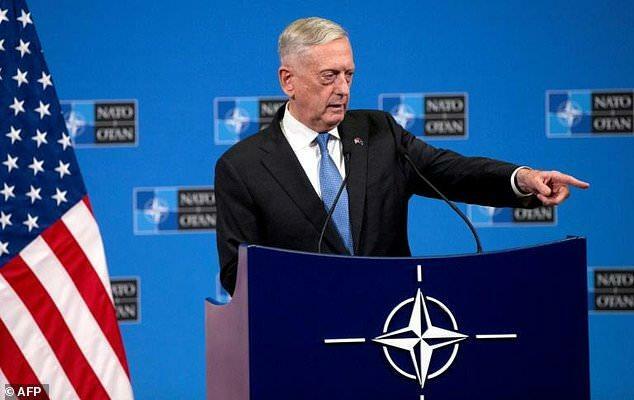 Mattis: Withdrawing US Troops From Syria Would Be A "Strategic Blunder"
"In Syria, leaving the field before the special envoy Staffan de Mistura achieves success in advancing the Geneva political process we all signed for under the UN security council resolution would be a strategic blunder, undercutting our diplomats and giving the terrorists the opportunity to recover..."
Mattis’ position reflects those of a lot of top US cabinet officials, who have resisted President Trump’s talk of a quick withdrawal. He argues that the UN peace plan necessitates an ongoing US military presence. On the other hand, he also says that leaving would be exploited by the Assad government and its supporters. This again sets out the US position that the UN plan necessitates regime change in Syria, something other supporters say is not the caase. It also suggests a more or less permanent US presence in Syria, since there is virtually no chance the US will impose a favorable outcome. Instead, Syria looks to be going the way of other major US wars, an open-ended situation short of success in which officials simultaneously are unable to come up with a plan to “win,” but will resist any pullout so they never completely lose.